2.Through YOU the (reader / experimenter) to the rest of the world’s consciousness via anecdotal evidence. We have always looked after our chickens well. We are certified organic A grade farm so no poisons or chemicals are within 24 Sq kilometers of our chickens. We allow the chickens to free range all year round. With exceptions to the Breeders who need to be segregated so the best off spring can be produced. Our food is used only as a supplement. 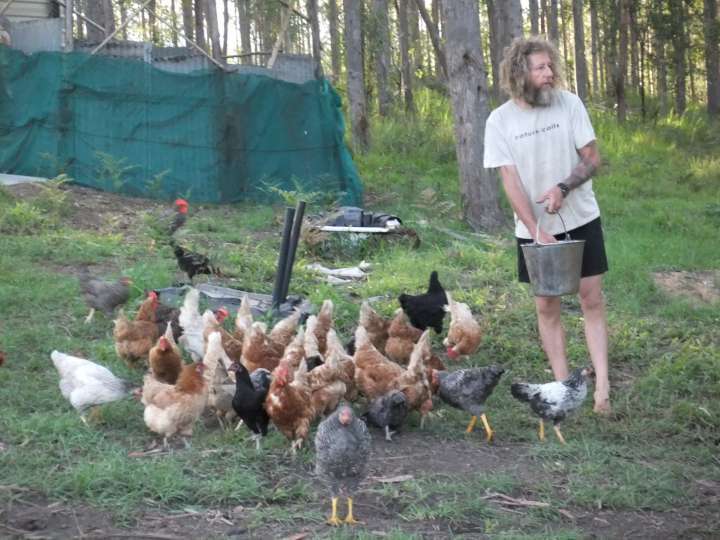 The chickens are encouraged to scratch and forage in the forest where we have abundance of goodies for them to eat. We use natural farming methods to augment their food supplements like sprouting and fermenting their grains with Lacto-bacillus. However because we love biochar and there is so much evidence that biochar can bring dead chickens back to life. (My mentors favorite story from the 1st Australian International biochar gathering). Link above text below. At 28 days he now deliberately induces the disease and then fasts them, and feeds 100% char day one, then 75%, 50%, and then 1% continuously thereafter. His eggs are now premium at 250% x current price. Feeding a charcoal ration to cows, and pigs and ‘hoomans’ also works…no, no not funny true. 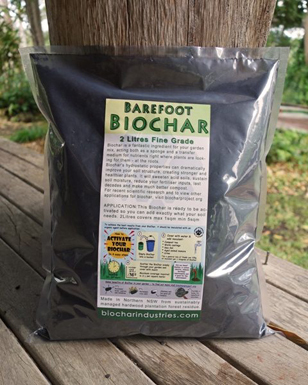 Biochar of course has many health benefits. We are looking for a value add that farmers may think “O ill give that a try”. Quantum nutrition the final frontier. Mother nature is a complex system that we do not understand. I however understand that everything has a fundamental potential hard coded into the DNA. All around us we see the differences like. Arnold Schwarzenegger – A physical expression of the higher end of the potential scale V’s a Melbourne cup winning Jockey. Right there you can see the gestures but to dig deep to find out why is a monumental undertaking. This is some of the mystery that excites me to do another Poultry biochar trial. A quick commentary of the Pictures. Top picture. 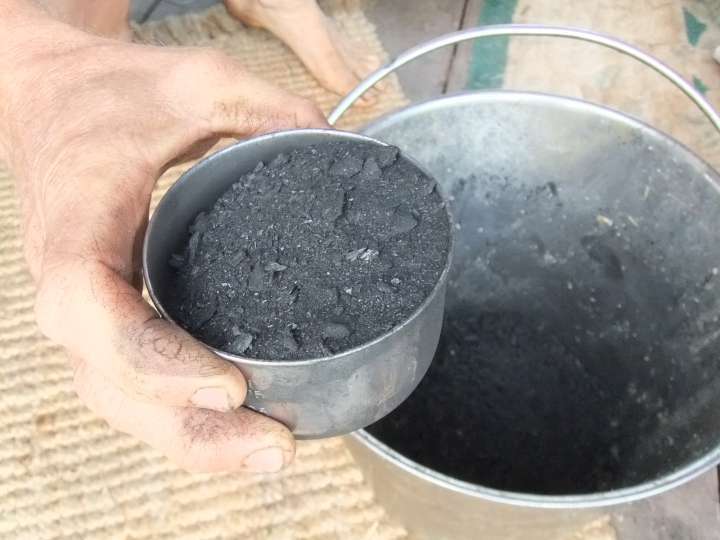 shows the steady hand of the Charmaster with a metric measuring cup of biochar made by biochar industries. Second Picture. 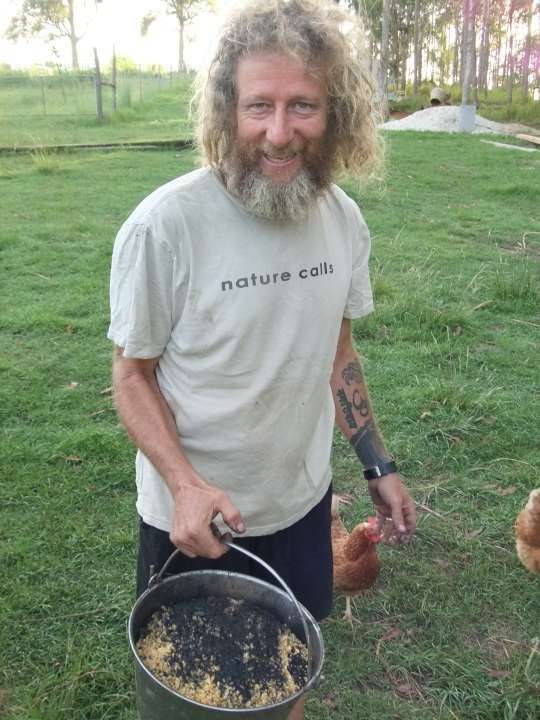 shows the fermented food with the biochar mixed in and a happy breeder chook. Third Picture. 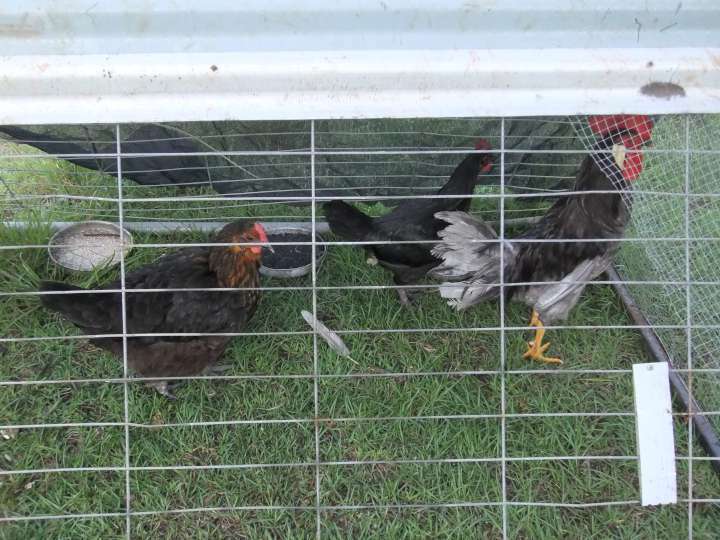 shows our layer hens in the breeding cage with the food trial and also a bowl of 100% biochar for them to use. Fourth Picture. Shows our Meat Birds in the Breeder cage. Spawning a new generation of Biochar enhanced breeding lines. Fifth Picture. Charmaster Dolph Cooke starting the Trial. Today 24-12-14 Merry Christmas Chookies. Sixth Picture. Healthy food creates Healthy Chooks, they create nutrient dense products to create healthy people. We have in total around about 200 Chickens. The males get examined for characteristics which determines their end usage. 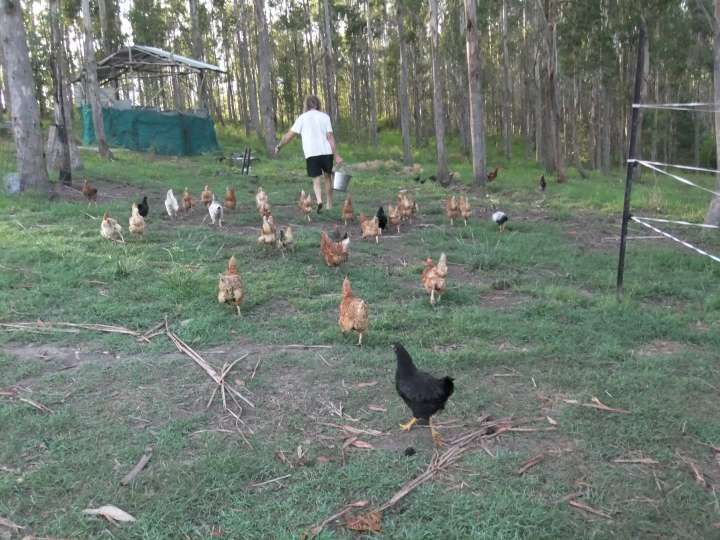 We have male chickens in chicken tractors harvesting the finished gardens in the hill of abundance. 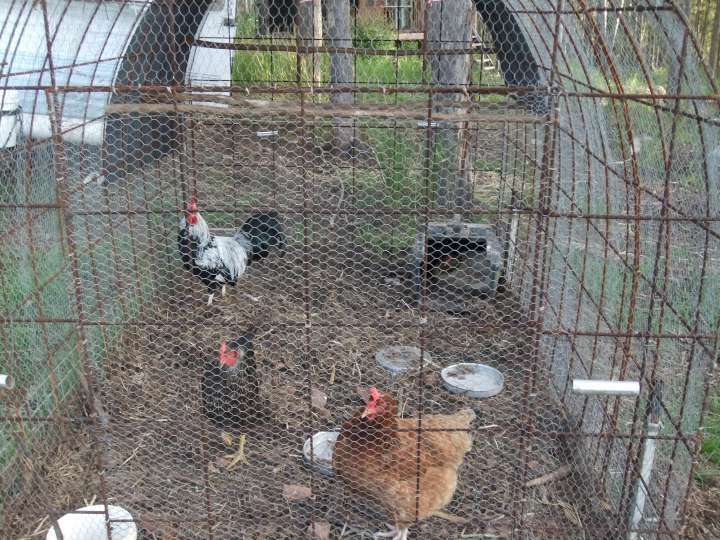 Female chickens run free range and get locked in coops at night. 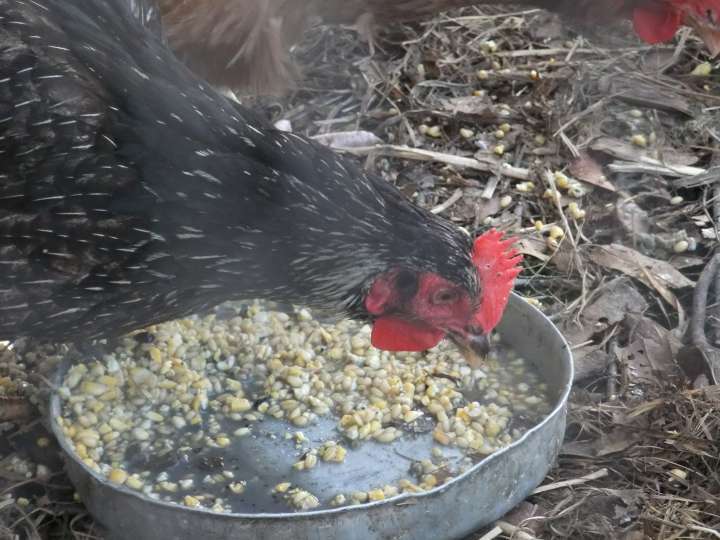 Female hybrids take to the trees and anything that can get them off the ground including our chicken caravan. All our chickens are taking part in this poultry biochar trial. How are we going to tell if this trial works ? Here is the big question because science still has no idea of what makes water work or for that matter what makes Biochar work. We are not scientists we are observers. We will observe their physical attributes. We will observe the produce (Eggs) for consistency, Taste, Smell, physical anomalies, mortality rates of the hatching’s and in the real world we will watch our sales and ask our customers for feedback. hi we use activative chicken char. We call ours Chook Char. We add a little char fines to their food, we use it as a litter and add a range of materials to the chook char such as lab, ohn, faa, ffj. this is super powerful once activated and spread on the veggie patch. We always leave a little so that their is enough biological activity for the new char to be activiated. no flies, no lice or mites. pens always smell nice and clean and healthy.